JTAG/SWD debug probe with USB interface. J-Link PLUS is a USB powered JTAG debug probe supporting a large number of CPU cores. 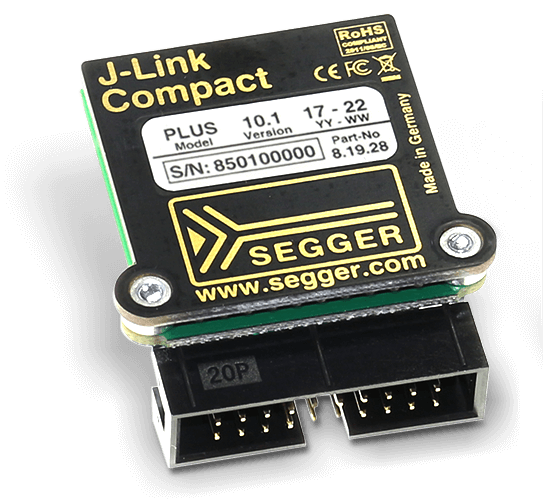 Including all models, more than 100,000 J-Links have been sold so far, making J-Link probably the most popular debug probe for ARM cores and the de-facto standard. Supports unlimited breakpoints in flash memory!